Earn up to 376 reward points. This ultimate guide to all the gear used by the Beatles details exactly which guitars, drums, amplifiers, and keyboards the Fab Four embraced throughout their brief but revolutionary career, from their earliest days as the Quarry Men to the dissolution of the Beatles in 1970. It provides fascinatingly fresh insights into Beatle history, exploding myths and uncovering dozens of new stories along the way. John, Paul, George, and Ringo's moves from cheap early instruments to the pick of 1960s technology are carefully and entertainingly documented in an easy-to-read narrative, fully illustrated with many previously unseen photographs, a cache of rare memorabilia, and a unique collection of specially photographed instruments used by the Beatles. As we continue to find new ways to explore their sound, from vivid remasters of their original recordings to cutting-edge video games, the Beatles remain at the forefront of popular music. This landmark book is perfect for the fan absorbed by music rather than hairstyles, for the tribute-band member with an eye for detail, and for any reader with an abiding interest in the 1960s. 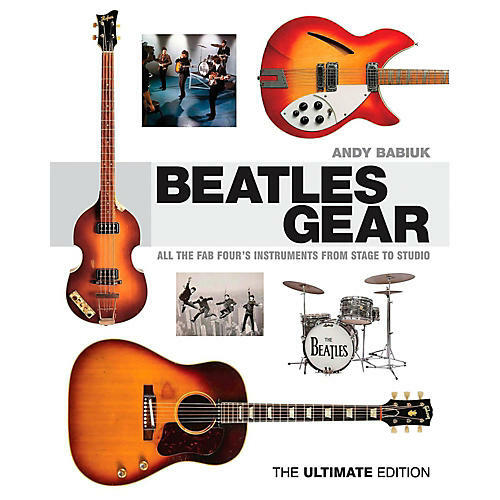 With a foreword by acclaimed Beatle author Mark Lewisohn, Beatles Gear tells it like it was.